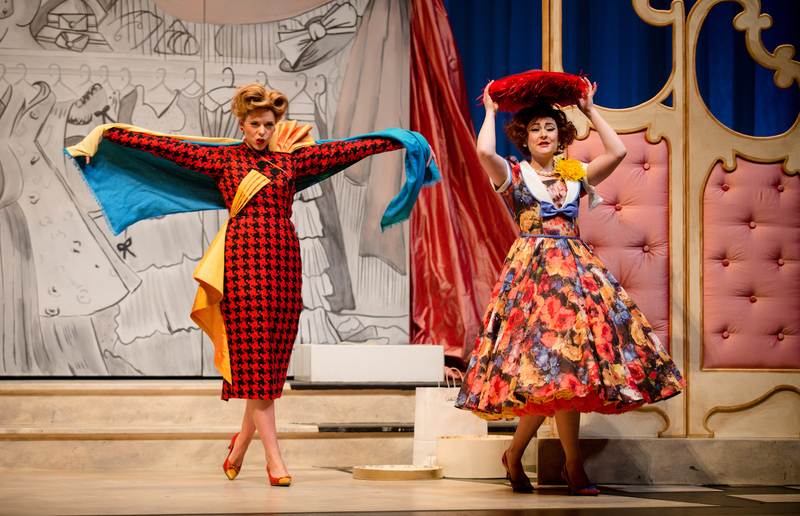 The Choir Girl: The Sassy Sisters of Cinderella. An Interview with Caitlin Wood and Sylvia Szadovszki. 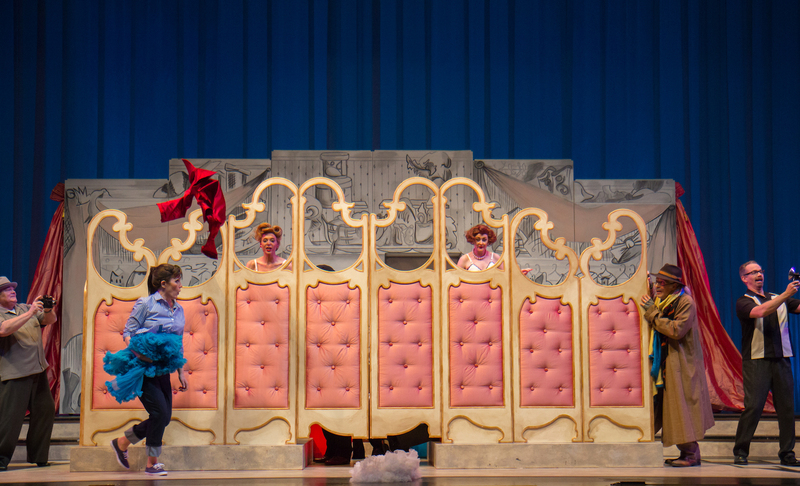 The Sassy Sisters of Cinderella. An Interview with Caitlin Wood and Sylvia Szadovszki. 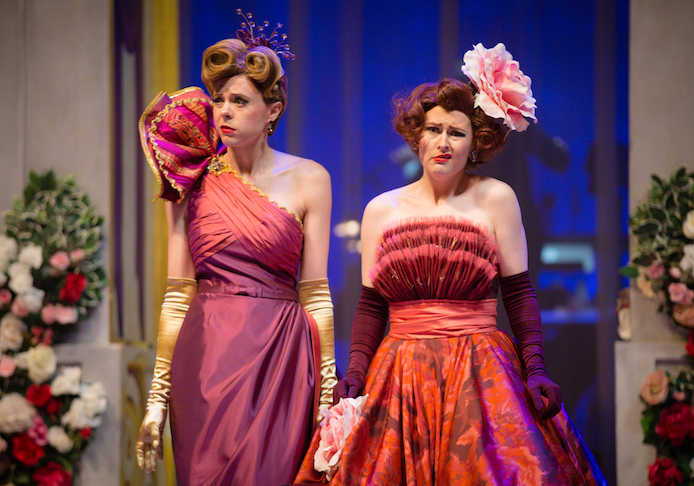 The sisters of Cinderella sparkle with a searing sassiness. 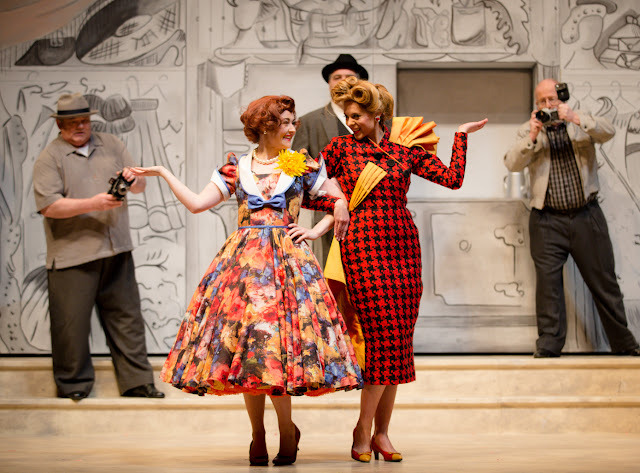 Soprano, Caitlin Wood, and Mezzo-Soprano, Sylvia Szadovszki play the sisters, Clorinda and Tisbe, in Edmonton Opera’s upcoming production of Cinderella. There is an instantaneous connection and infectious charm that is amplified when they are within proximity of one another. They have a tendency to finish each other sentences, release a unison giggle at comedic moments, and offer each other knowing looks of support as they help each other formulate answers that reflect their personal experience. There is a sense of homecoming in many ways since Caitlin grew up in St. Albert and Sylvia in Calgary. 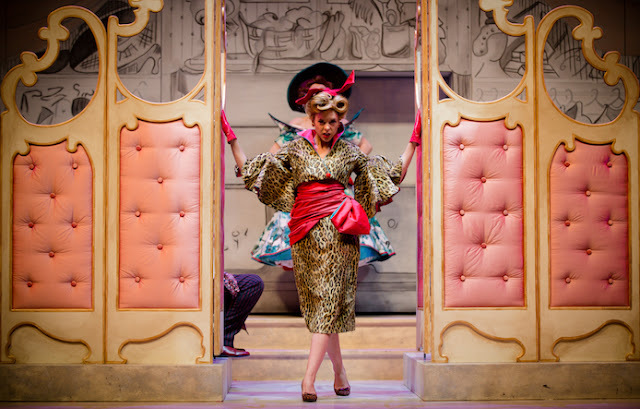 This is Caitlin’s debut performance with Edmonton Opera and she shares, “it’s nice to be home and to be able to perform at home. A lot of family, friends, and one of my mentors who got me into music growing up will be coming. They haven’t seen me perform since highschool.” In her last highschool production, she was playing Maria in West Side Story. It will be definite treat for her supporters to hear her in this professional role. 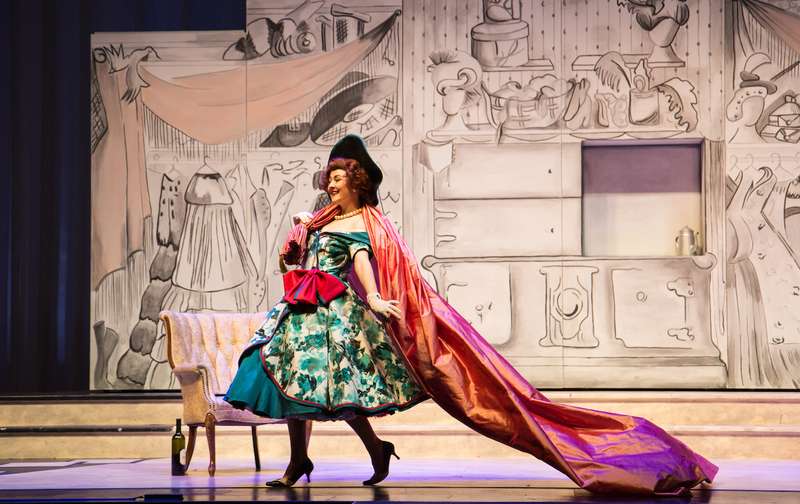 Sylvia is ecstatic to be back at Edmonton Opera after her previous work in the Barber of Seville. “When you first get hired, you don’t know the people there, but everybody here is so nice, sweet, supportive, and fun. It makes coming back to the company just really awesome,” she reveals. Caitlin notes, “To me, Clorinda and Tisbe, they’re are always together. 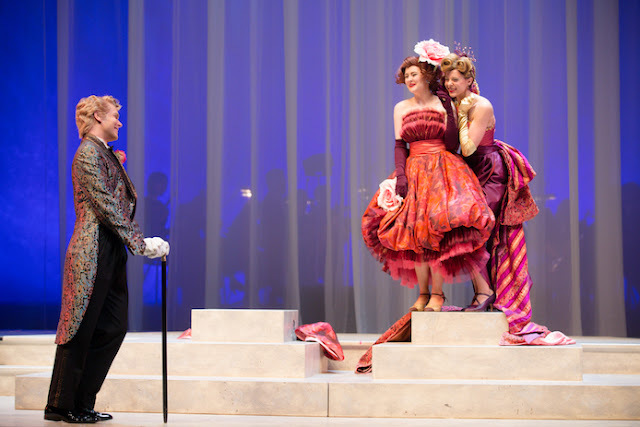 Once I met Sylvia, I found it so easy to see who these characters are going to be.” Even though they both entered the rehearsal process with ideas of who their characters might be, these traits were not fully formed until they met one another. “We come with our own ideas of the character but we are flexible and amend things in rehearsal. When you are in this rehearsal situation, it becomes so much easier to see a character and play off of each other. 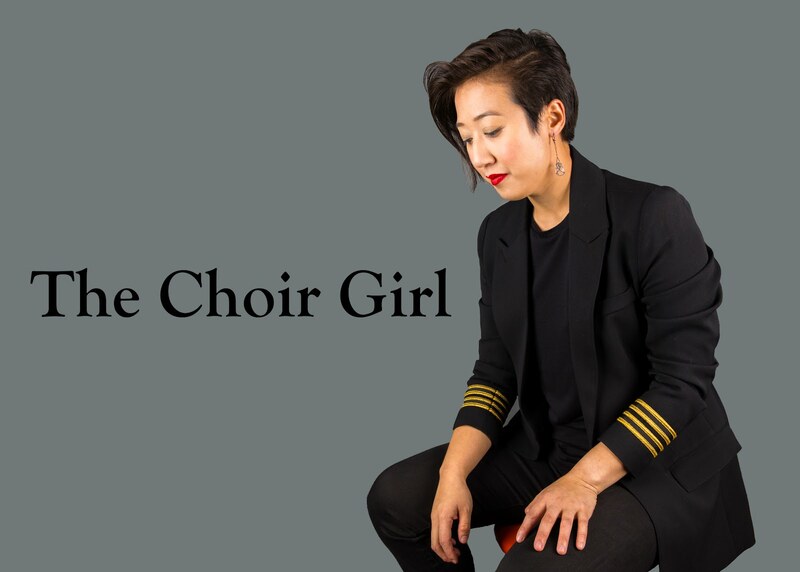 When practicing recit alone, it’s basically impossible,” says Sylvia. When asked about who they thought their characters were before they entered the rehearsal process, both Sylvia and Caitlin reveal they knew the sisters were mean but they didn’t realize how Director, Rob Herriot, would play it up with comedic effect. “I probably thought that the sisters were more under control, but I feel like now, they’re absolute brats. I probably thought they’re late teenagers, early 20s, they’re probably not going to throw an entire fit. But they do. I think they’re those people never taught or corrected by their parents to be kind,” says Caitlin. “We’re very uncivilized,” says Sylvia with a warm laugh. In commenting on how they are finding the quick-paced costume changes, the relentless Rossini bel canto runs, and the cast of quirky characters, Sylvia reveals that “the whole cast has a really good sense of humor. Everyone is quick-witted, one of the most fun processes I’ve ever been a part of.” She cites Stephen Hegedus, playing Alidoro in the production, as having some choice comedic moments in the rehearsal process. The constant contact over the past few weeks has increased the sisterly bond between Caitlin and Sylvia. “People have actually made observations that we answer questions the exact same way, we’ll say the exact same thing on the exact same pitch. We have melded,” says Sylvia. “We are now related,” states Caitlin with a laugh. Sylvia begins, “I felt like we had this instant little…sisterly bond,” says Caitlin finishing the sentence. The sister duo of Caitlin and Sylvia have the power to steal the show with killer comedic timing and how they embrace the ridiculousness and excess at the core of the sisters. Both Caitlin and Sylvia overflow with gratitude towards Edmonton Opera, and I would not be surprised if their performances leave the audience asking themselves: when can I see them again? 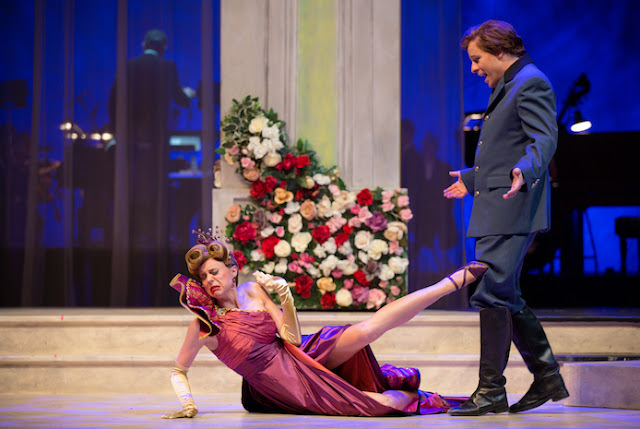 Tickets are available online at Edmonton Opera.